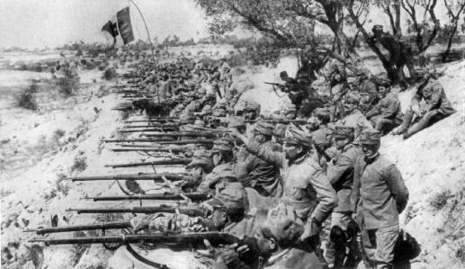 The Seventh Battle of the Isonzo was fought from September 14-17, 1916 between the armies of the Kingdom of Italy and those of Austria-Hungary. Cadorna launched four offensives in 1915, all along the Isonzo River. The goal of these offensives was the fortress of Gorizia, the capture of which would permit the Italian armies to pivot south and march on Trieste, or continue on to the Ljubliana Pass. All four offensives failed, resulting in some 250,000 Italian casaulties for little material gain. 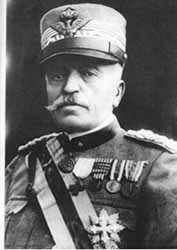 Cadorna would ultimately fight eleven battles on the Isonzo between 1915 and 1917. Additional forces were arrayed along the Trentino salient, attacking towards Rovereto, Trento, and Bolzano. These attacks also failed. The terrain along the Isonzo and in the Trentino province was completely unsuited for offensive warfare–mountainous and broken, with no room for maneuver.